While we all hope we’ll never be in a situation where it’s difficult to pay the bills, things happen. You might be furloughed due to circumstances beyond your control, like the hundreds of thousands of people out of work right now with the partial government shutdown. Or perhaps you or your spouse were laid off, let go or forced to take a sizable pay cut. Maybe an unforeseen expense is making things difficult. Even if your financial hardship is temporary, that doesn’t mean it’s easy. 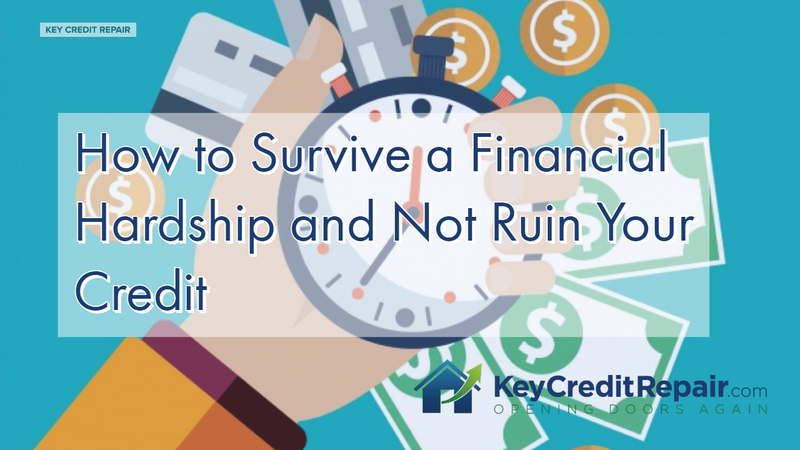 Things can become especially dicey if you rely on your credit card to make ends meet on your bills, a strategy that can greatly raise your debt and lower your credit score. Look into hardship plans with your credit card company: The credit card companies typically don’t publicize this benefit, so there’s a good chance that it’ll be up to you to initiate it. However, many companies do offer hardship plans to help people better manage their debt. Essentially, hardship plans are repayment plans specifically catered toward a particular consumer’s financial situation – and enrolling in such a plan has no direct impact on your credit. Be honest with your creditor about why you need to enroll in such a plan. Stick to the necessities: You likely need to stay up on your car payments, mortgage payments, utilities and perhaps your phone bill. But your cable bill? Your Netflix, Hulu, Amazon Video and other streaming services? Eating out? Your daily morning Starbucks? Those are all things you can likely live without. Don’t be afraid to cancel or put a hold on these luxuries until you can get back on your feet. You’ll thank yourself in the long run. Pick up a part-time job: If you’re out of work and your unemployment benefits aren’t cutting it, don’t be too prideful to get a part-time job to help you get through the tough times. Even just bringing in a few hundred dollars more per week can help you knock out some of the essential bills you’re on the hook for. Plus, you can always leave the part-time gig as soon as you secure full-time work in your desired field once again. Minimally, always make on-time payments: Even if you can only pay the minimum payment on your credit card, make sure you do it. Credit scores are largely weighed on whether or not you make on-time payments. Skipping even once can cause your score to dip – and you don’t want to get docked for something so seemingly simple to avoid. Most of all, if you’ve fallen on hard financial times – don’t panic. Come up with a strategy of how you’re going to address your situation, then act. It’s possible to do without sacrificing your credit score.